Sam has been practising yoga for over 15 years, teaching in New Zealand, South East Asia, Costa Rica and most recently Colombia. Returning to her roots, she completed the 500hr IYN certified teacher training with the Devon School of Yoga and now teaches traditional Holistic Hatha Yoga, focusing on a balanced practice that strengthens and detoxifies on every level, bringing us home to rest in our own true nature. Sam is also a Reiki Master, Shamanic Practitioner, founder of Devon Mala Tree and teaches Shamanic Yoga workshops throughout the South West. 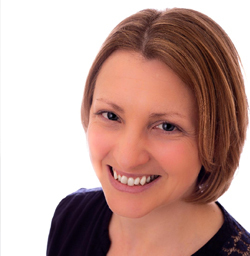 Alice is a yoga teacher and yoga therapist specialising in pre and post-natal yoga. Her classes offer a safe, nurturing and supportive space for women to explore the experience of pregnancy, birth and beyond. 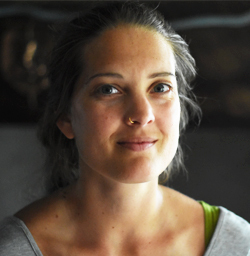 Alice has been teaching yoga since 2008 and has studied and trained in India and the UK. She is a teacher trainer for the Devon School of Yoga and also teaches on the school’s post-graduate yoga therapy course. 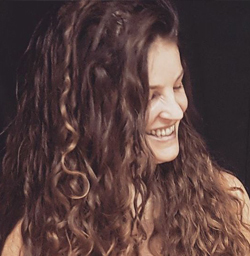 Alice completed her initial pregnancy yoga teacher training in 2010 with Jane Mackarness, and then went on to train as a yoga therapist with the Devon School of Yoga. In recent years Alice has focused on her young family and continued her training in pre and post-natal yoga with Uma Dinsmore Tuli. Her approach to yoga and life is strongly influenced by her practice of Vipassana meditation as taught my SN Goenka. Norah’s yoga practice and teaching are faithful to the teachings passed down through Sri Krishnamacharya's lineage. She has been practicing yoga since 2003 and has been a student of Steve Brandon since 2010, completing teacher training in Vinyasa Krama Yoga with Harmony Yoga Academy in 2011. More recently, Norah completed a Yoga Gro Diploma in teaching yoga for pregnancy (2016) and postnatal yoga (2018). She teaches a variety of vinyasa krama yoga classes in her local community - yoga for all, for over 50s, for pregnancy, for women and for postnatal mums – thus facilitating sustainable, optimal, self-sufficient health and wellbeing across the lifespan. James teaches a holistic approach to yoga. He has been practising yoga for two decades and teaching yoga for twelve years. James trained in India, Nepal and the UK. In India, he studied at Yoga Vidya Gurukul (YVG) and in the UK with the Devon School of Yoga (DSY). James has completed two teaching diplomas. He also holds a certificate in Advanced Yoga Studies from YVG and a postgraduate diploma in Yoga Therapy from the DSY. James has trained with senior and respected yogacharyas, including Srivatsa Ramaswami and Sri Vishwas Mandlik. His principal teacher is Duncan Hulin with whom he has studied regularly for the past eighteen years. 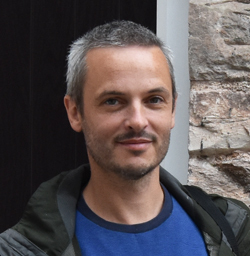 James is a tutor for the Devon School of Yoga and a member of the Independent Yoga Network. I really enjoyed teaching a yoga workshop in Newly opened Yoga Torquay studio. Beautiful open warm relaxed space. It is right in the heart of Torquay, excellent location.